SECI Real Estate was established in the ’90’s within the Maccaferri Industrial Group, initially focussing on the creation of value through the renovation and redevelopment of the disused property assets belonging to the Group, with a constant eye to quality as the hallmark of its enterprise. Today, the principal activity of Seci Real Estate is to acquire, renovate and develop sites and/or buildings. These operations are carried out directly, through the creation of specific NewCos in partnership with local or national / international companies, depending on requirements. Project management, marketing and media relations are effected by specialised qualified partners. 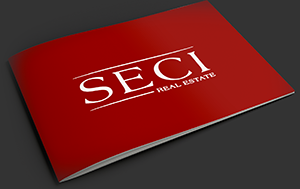 In today’s rapidly changing market, where it is of utmost importance to continually offer innovation, an in-depth understanding of the clients’ needs, and the ability to be efficient and competitive, SECI Real Estate responds to the challenges of the modern world with a management team made up of competent, reliable, down to earth people, accustomed to building up long-lasting relationships in collaboration and reciprocal trust with their clients. SECI REAL ESTATE is a team of engineers, architects and designers who work on a wide range of projects both in Italy and abroad . Our portfolio includes hospitals, schools, hotels, housing, offices, shops, shopping centres, industrial warehouses etc. Energy saving and environmental sustainability are the key to any work in the field of construction today, and that is why we invest in constant training in order to be consistently up to date and offer our clients projects which are sustainable both from an economic and environmental point of view.